Two teams from two countries with two web sites to complete for two charities. In 24 hours. With an audience watching every move. That was the idea behind FullCodePress held in May 2009 at CeBIT. Elle Meredith was the HTML/CSS coder chosen for the Australian team which completed a great web site for the DDLC NSW. She kindly shares her experiences with SitePoint. Did you or the team do any preparation in the build up to the event? As a team, we reviewed our skills sets, discussed possible CMSs, made rough plans for the 24-hours, examined the web sites of other NFP organisations, reviewed the judging categories, created a user research survey, prepared client questions, and contacted previous team members for advice. Personally, I created ready-to-go template files and had a TextPattern installation with my favourite plugins. TextPattern was our favourite CMS before we knew the specific requirements and functionality. Although we ended up using WordPress, Joomla had also been a possible option. I spent some time before the event learning how Joomla templates are structured. Had you worked with any of the other team members before? No I hadn’t, but it was lovely to work with my team members and we still stay in touch. You chose WordPress as the content management system. That was a safe and solid choice, but what were the key factors that influenced that decision and did it cause any problems or limitations? Last year’s team advised us that their choice of Drupal might not have been their best decision. They found it difficult to customize the XHTML/CSS, particularly because they weren’t familiar with the system. They suggested we use an open-source CMS that offered more control over its templates. WordPress was chosen because we all had some experience of working with it. As you say, it is a solid system, with many followers and a variety of plugins to extend the basic installation. That was extremely important given the limited time schedule. What tools did you use for development? IDE? Source control? Testing suites? I used TextMate, Coda and CSSEdit2 for development and, for source control, the team used Subversion. Since the members used Macs and PCs, it was easy to test across platforms. During the event, Lachlan Hunt also gave each team a mobile PDA to to test the site using Opera’s DragonFly. Although we hadn’t worked together, we identified what each person did best. The biggest challenge was setting milestones and time goals to ensure we stayed on track. I don’t think we realised how quickly the time would fly when one has only 24-hours to work with. And what turned out to be easier than you expected? Staying awake. We were up for almost 40 hours and I only had two coffees during that time — a personal best for me! I really surprised myself for being awake and functioning without sleep for so long (I love my sleep). I guess excitement and adrenaline from the event kicked in and kept us in shape. Also, our clients were great and came fully-prepared with possible content, site structures, layouts, imagery and PayPal account details. We had not known what to expect and they could have turned up with minimal information and requested a new logo. Did you need to drop or simplify any features because they couldn’t be achieved within the 24 hours? Yes. As the deadline approached, we realised some features were not feasible. However, we all agreed to contribute our own time after the event to finish the project and deliver the best possible web site for the client. In which areas do you think you beat your competitors? I believe our branding, design and usability aspects were superior to the New Zealand web site (as acknowledged by the judges). Our client has an audience with various disabilities, so we needed to ensure the web site was suitable for all users. This was apparent from the main navigation that targeted all three audience types: get support, be involved and learn more. With the benefit of hindsight, would you have done anything differently? It would have been beneficial if the Australian team could have met before the event to get to know each other and discuss preparations. However, that is difficult to accomplish, especially when some members do not live in Sydney (I don’t). Also, I would probably support a more rigid time line rather than our organic one. The schedule was very limited, so there was no time for detours or distractions. I would try to ensure every team member was fully utilised throughout. Did you learn anything that you can now use in your day-to-day job? I’m a freelancer, so it was a good experience to work with others, rely on their input, and see how they operated. It was also great to see how Pat approached the web site’s usability as well as being able to rely on other team members to do various aspects of the web site. Furthermore, the event helped me review my work practices to become more time efficient. Would you enter the FullCodePress event again? If they would allow us, I would love to be part of the team again. Elle operates Design by Elle around the Byron Bay area. 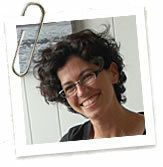 She worked in graphic design for many years and shifted her attention to web development in 2002. She believes in web standards and employs best-practice techniques to deliver standards-compliant, accessible and usable web sites. When not developing web sites, she goes diving at Julian Rocks.